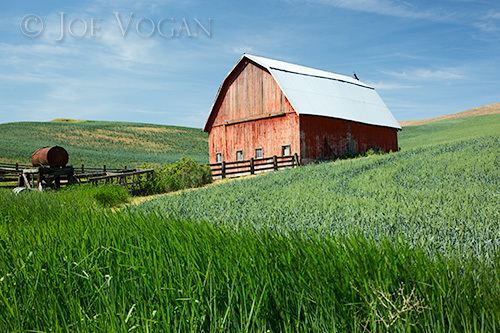 I’ve seen some nice photographs from the Palouse region in the past, so it’s been a location on “the list” to try and visit. 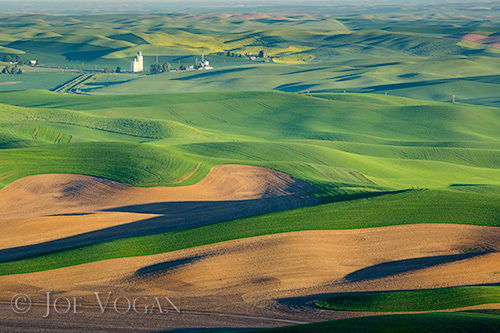 It’s probably safe to say that if you’re not a farmer or a photographer, the odds that you know where the Palouse is are not very high. 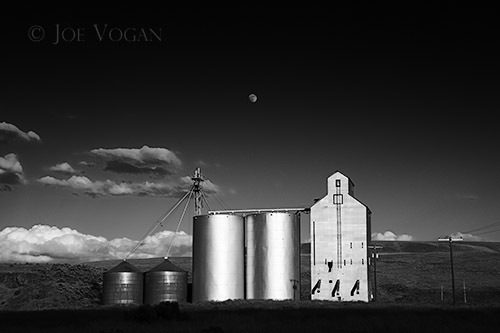 Located in the eastern portion of Washington into Idaho, it’s both a unique landscape and a very productive area for agriculture, particularly wheat. Formed by volcanic activity, wind blown silt became dunes which became the rich soil that underlies the heart of the Palouse. For photographers, the light and varying colors of green and gold are often compared to Tuscany. It’s easy to get off the beaten path in this region and once you’re on the network of dirt roads you’re likely to not pass another car. The one spot you’re guaranteed to run into a few people is along the road near the top of Steptoe Butte. It’s not hard to find, since it rises about 1,000 feet higher than the surrounding farms and is likely the most popular site to photograph at sunrise and sunset. Though in June, sunrise and sunset are pretty far apart each day. 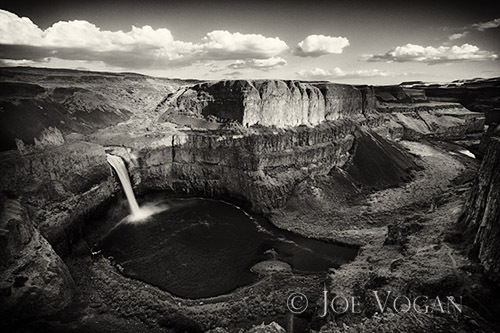 The waterfall flowing into the canyon at Palouse Falls State Park. Depending on your interests, I’d recommend a full three days to see a representative sample of the area, considering it ranges for some 4,000 square miles. And that’s also assuming good weather, which was about perfect when I was there in early to mid June. 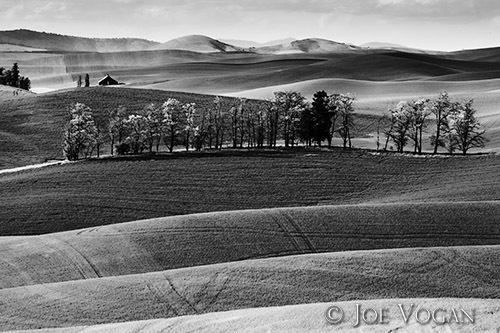 This entry was posted in U.S. Travel, Western U.S. and tagged farming, landscape, Palouse, photography, Washington, wheat by Joe Vogan. Bookmark the permalink.